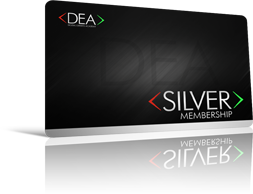 SILVER is a cutting-edge a e-learning program designed to give you a new foundation for success in the digital economy. SILVER is all about making the shift from employee to digital entrepreneur. Based on hundreds of years of collective wisdom and expertise, this is the rock-solid foundation that every successful business is built on in the digital economy. Your training is delivered via a proprietary “e-learning” platform powered by WeSkill, a world leader in professional development and online training. (This is the same training that some of the world's most successful companies pay hundreds of thousands of dollars for.) Featuring a technology called “space repetition learning,” the content is broken is broken down into bite-sized pieces so that you can quickly and efficiently absorb it. This allows you to apply the expert content immediately for maximum results. SILVER features four WeSkill courses designed to give you a clear, purpose-driven business strategy, something all high-achieving entrepreneurs have in common. Are you ready to begin to unleash your digital entrepreneur?